Cumberland granulators are manufactured with quality as the main criteria for this plastics processing equipment. 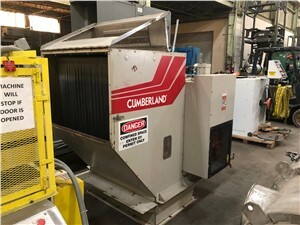 Since 1939, Cumberland Engineering has been an industry leader in manufacturing granulators, pelletizers and recycling systems for plastics industries. High-quality granulators that reprocess plastic materials help lower costs and conserve resources. Search Arlington Plastics Machinery’s inventory to find the Cumberland granulators you need. 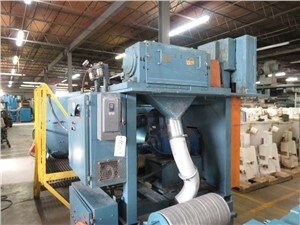 Cumberland Granulators and Rapid Granulators are used for various applications such as recycling plastic sheet, bottles and injection molded products. All industries use them to recycle products that are either inferior in quality or have been used and need to be reprocessed.